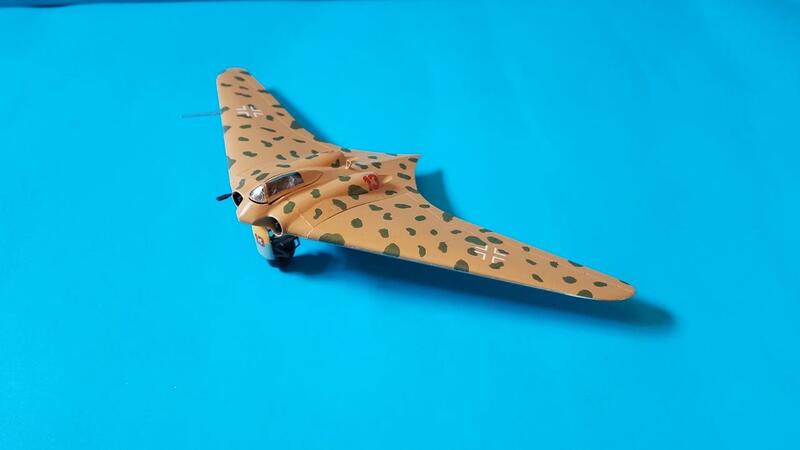 It was fun because I was able to have a go again at the desert camouflage, this time using the correct RLM 80 Olive Green colour over the RLM 79. 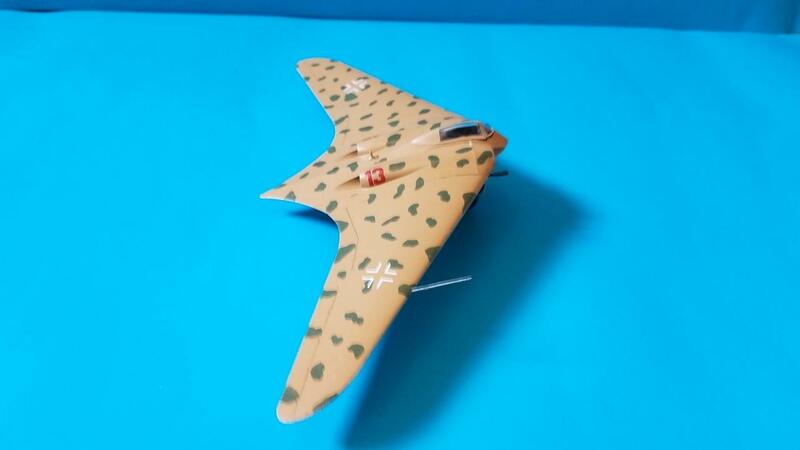 The canopy was the worst fitting part of the kit, leaving a huge gap at the front. Looks great! , reminds me of something from the ‘Indiana Jones’ movie. I´m counting, you´re the fourth one to tell me the same. 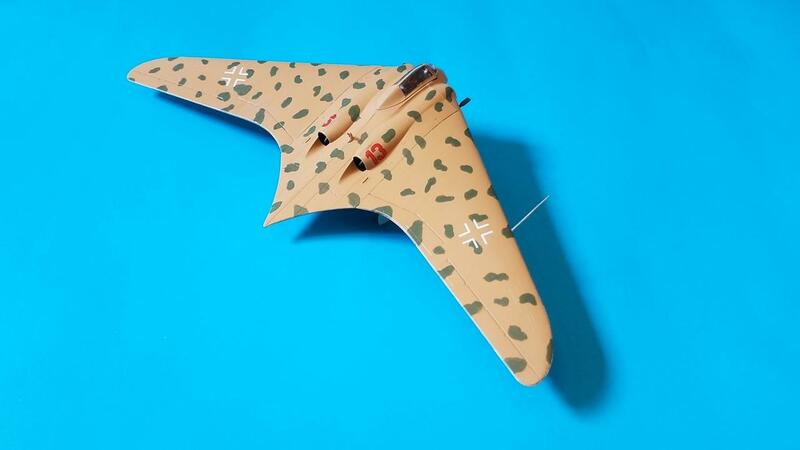 I believe the Ar 555 is more similar to the flying wing of the Indiana Jones movie. Yess, indeed! 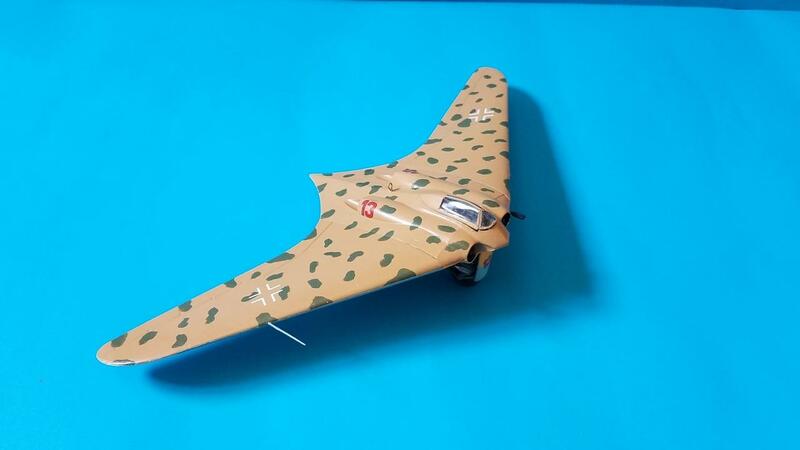 Fine looking Horten, Francisco! And the other one, too. 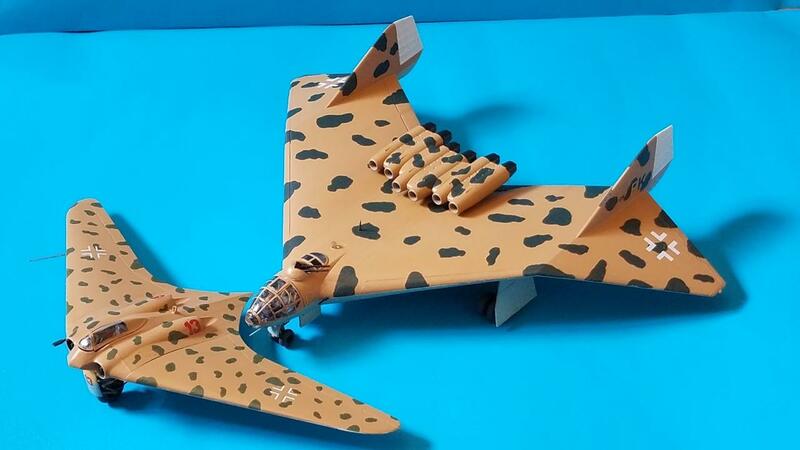 Interesting models Francisco, well done.